Dosage After cleansing the face and applying Collagen Peptide Facial Mask or Collagen Peptide Extract, or other treatments as needed, apply Hyaluronic Acid Moisturizing Serum. Use daily for best results. 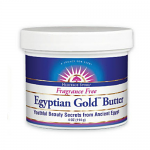 Properties Its hydorphilic (water-loving) quality make it an excellent natural moisturizer. Contraindications For external use only. Avoid contact with eyes or mucous membranes.